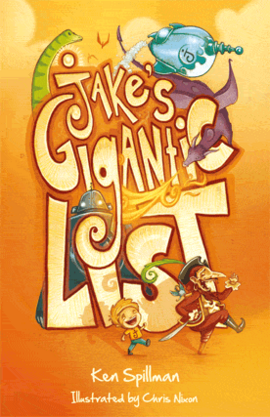 Our visitor today is Ken Spillman, author of many books, including Jake’s Gigantic List and Jake’s Monster Mess. 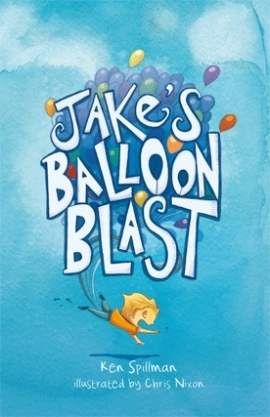 The third book in the series Jake’s Balloon Blast will be out in March 2011. Quite simply, a love of stories. That developed early and by the age of 8 I was a keen writer, even during school holidays. When I was 15, my English teacher told me to keep writing. He forgot to tell me to stop writing, so I’m still going. It’s all his fault. It was, actually, but before that I’d published a lot of short stories and poems, while having quite a few rejections as well. I had many, including adventure stories like Robin Hood and Tom Sawyer. But an enduring favourite was – and IS – The Little Prince. That always gets me thinking – I can revisit it every year and learn something new! It’s very difficult not to get ideas – so the trick is to give some time to the ideas you do have. For me, watching and listening leads to imagining, and that’s where story begins. After that, it’s all about work. I like to read! But I also love sports and enjoy swimming or kicking a ball around. Travelling is also great, and recently I’ve enjoyed talking to big groups of Jake fans in Asian countries. Are you working on a book at the moment? I’ve always got a few books on the go. Chris Nixon is illustrating the fourth Jake book – with a sporting theme – and I’ve written two more. I’m also working on a picture book for Scholastic and a new series for release by Puffin India later this year. 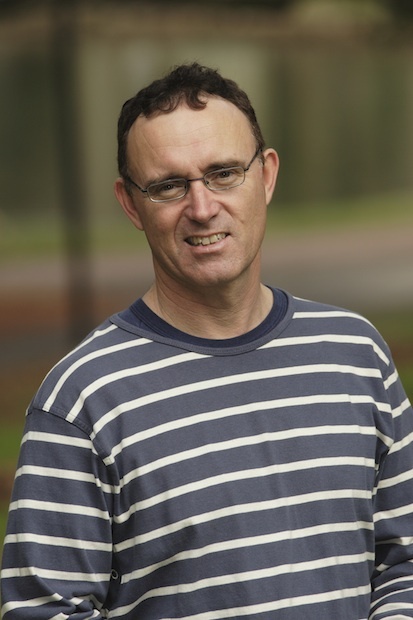 When you are writing the Jake books, do you work closely with Chris Nixon, or do you finish the text and then leave him to do the illustrations? I finish the story first, but since the first Jake book I’ve been able to imagine what Chris will be able to do with it as I go along. He nailed the Jake character straight off, so I know he’s always going to really ‘get’ what I write. First and foremost, have fun. What a magical thing it is to create whole worlds – with just paper and ink! If you enjoy writing, you’ll do it often – and that’s the second thing … work! Great advice! I am convinced that when an author is having fun, a reader can pick that up in a story.